That eyeball is just the best! She was super pleased with the eyeball lol. 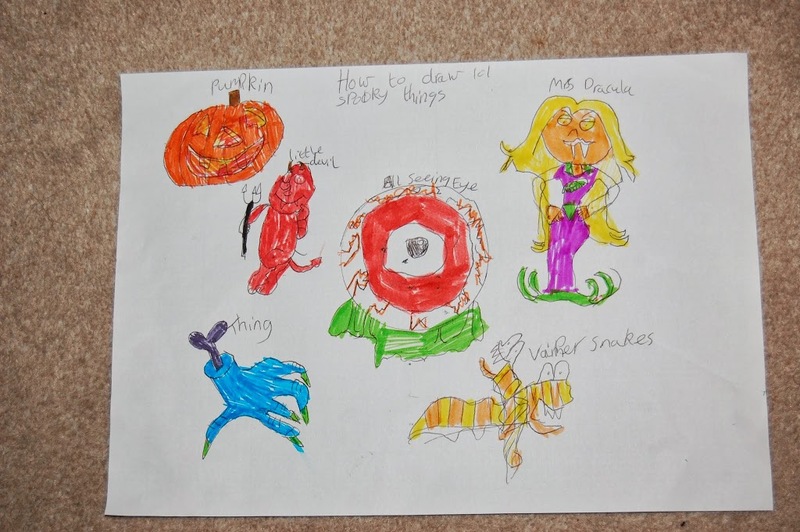 Only downside being she now wants a pumpkin that looks the same….errm….help? Fab drawing, an artist in the making! Who is the fantastic artist? Brilliant picture 🙂 I love the blue hand/claw.